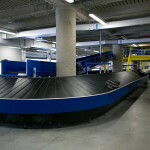 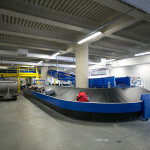 The inclined plates carousels of CASSIOLI Airport Division can be used in both areas of operation for both baggage claim by the passengers, as in operational areas reserved for airport operators. 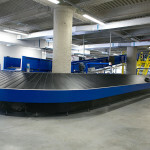 The equipment consists of a closed loop “looping”, composed by some modules horizontal and curved, motorized, and a hint of inclined plates on which the baggage is transported and deposited. 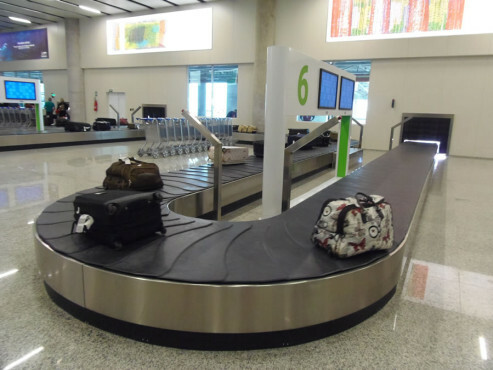 The inclined plane configuration provides better visibility for passengers awaiting the removal of your luggage, better ergonomics, both during placement and removal of the luggage on the carousel and a better alignment to the side nearest the operator (minimal effort to remove luggage). 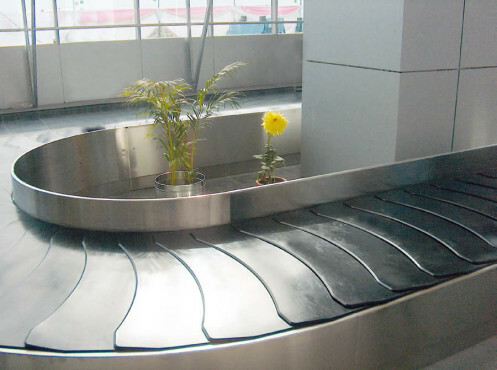 The inclined plates carousel covers an area comparable to traditional carousels flat plates but with a much higher load capacity. 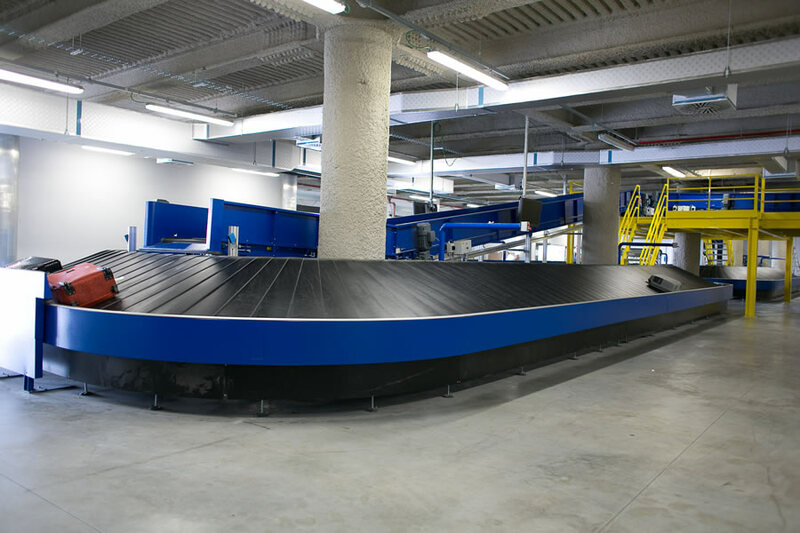 With a surface area of the front pickup of 1.5 meters, the carousel CASSIOLI Airport Division is the ideal solution for the handling of “Wide Body” aircraft. 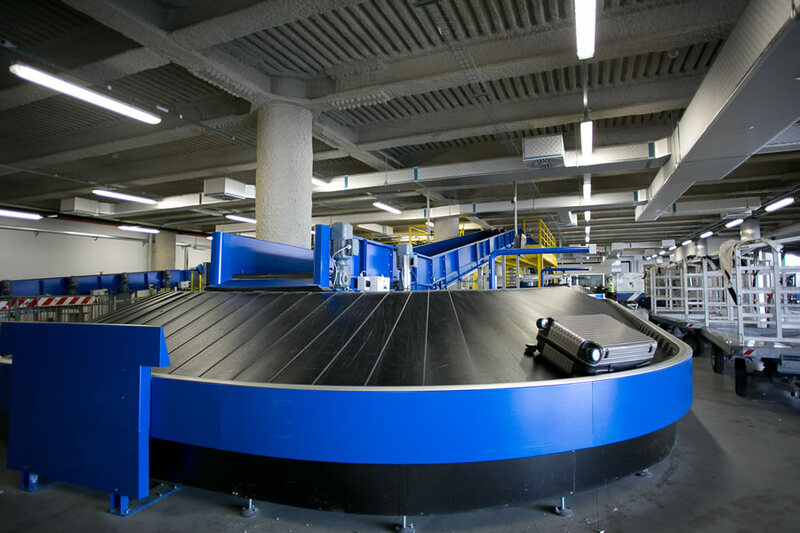 The track of the carousel is driven by a central chain and is supported by the automatic system “Friction Drive” that ensures a high level of safety. 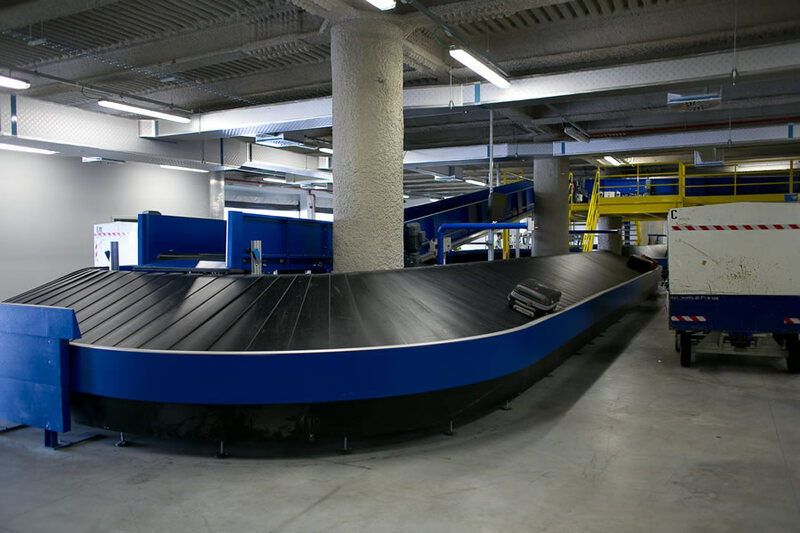 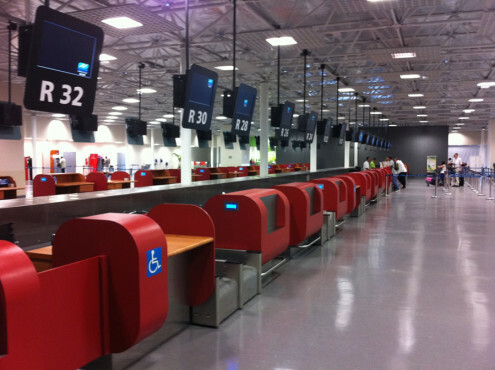 The use of coatings and accurate particularly quiet operation system makes the airport carousel suitable for environments that require an efficiency that combines modern with nice appearance. 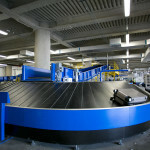 The plates are made of fireproof PVC, resistant to abrasion, weathering and aging factors are superimposed along the whole circuit of the carousel and are arranged rotatably in the curved sections without creating cracks or shocks which could damage the bag or create a hazard for operators. 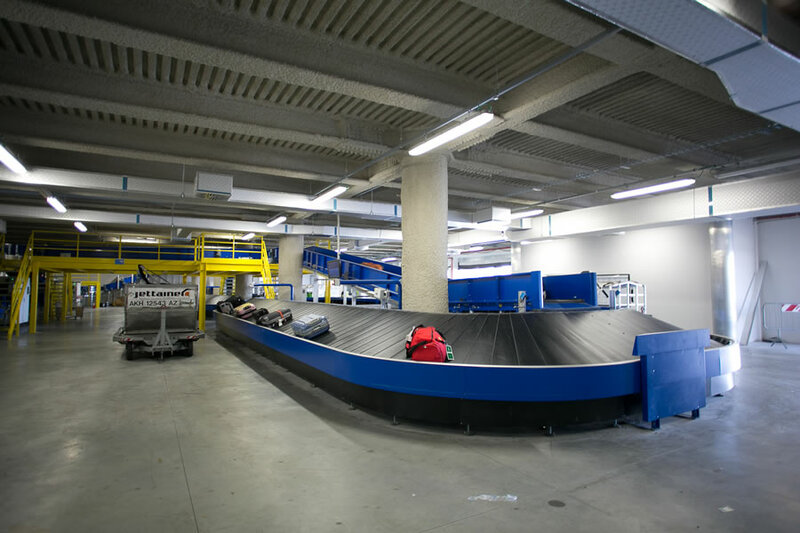 The silent operation with fewer than 55 decibels, the handling capacity of 180 kg per linear meter and the quick release system (without tools) of the propulsion unit of the group, make the product the best choice for the new generation airports.